Take the kids to China when they are out of school! This specific-designed 13 days China tour is based on the interest of the families especially the children's. From the amazing Mutianyu Great Wall, the whole family will head to the biking tours on the ancient city wall, marvel at the magical terra cotta army and see the fascinating acrobatic show; then cycle through the countryside Yangshuo with the thrill in Disneyland Hong Kong before flying home. All the child-friendly, fun and educational activities will give the kids life-time memory. Be met at the airport and transfer to your hotel at Beijing downtown. 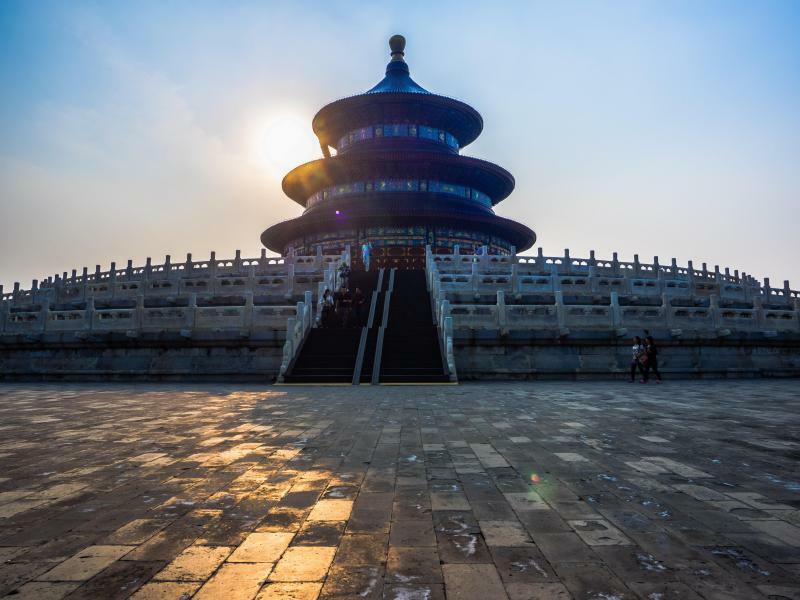 Private escorted tour to China's existing largest structure for sacrifice to heaven - Temple of Heaven. It was used to hold a memorial ceremony for the God in Winter Solstice Festival and to pray for harvest in the first month of the lunar year by the emperors in Ming and Qing dynasties. And then go to the Tiananmen Square, the largest city square in the world. 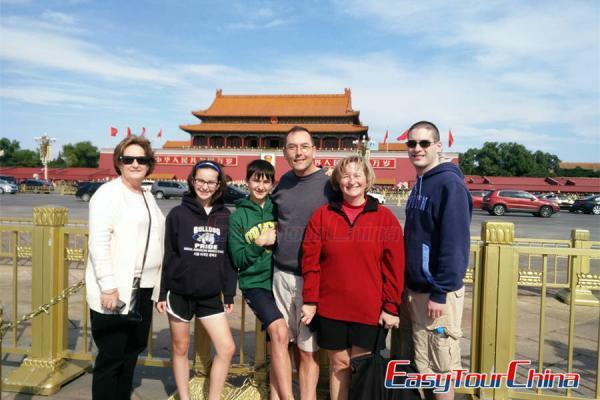 Walk throught the Gate of Heavenly Peace (Tian'anmen Gate) to the Forbidden City. The Forbidden City, nominated as World Cultural Heritage by UNESCO in 1987, is the largest ancient palatial structure in the world and the best-preserved imperial palace in China. The parents and kids can enjoy treasure hunting game and learn amazing hisotry, Tonight’s dinner, we recommend you the famous Peking Duck Banquet (optional). 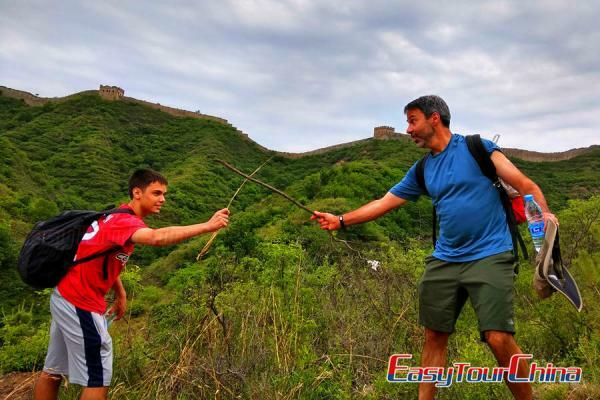 Start your day by transferring to hike the Jinshanling section of the Great Wall - a wonderful choice for active families, Located about 130 km from downtown Beijing, Jinshanling Great Wall is one of the best preserved Great Wall of Ming Dynasty with majestic mountain landscape. Summer Palace is the first visit today. This world-wide known palace is located northwest of Beijing and said to be the best preserved imperial garden in the world, and the largest of its kind still in existence in China. It is only a short drive (15 km) from central Beijing but seems like another world. In it, boating on the Kunming Lake will let your family take a vivid glimpse of the whole palace with breeze blowing. After a short rest, transfer to the historical and cultural Xian by high-speed train. In the morning, transfer to visit the famous Terra Cotta Warriors and Horses Museum, one of the top attractions in China. 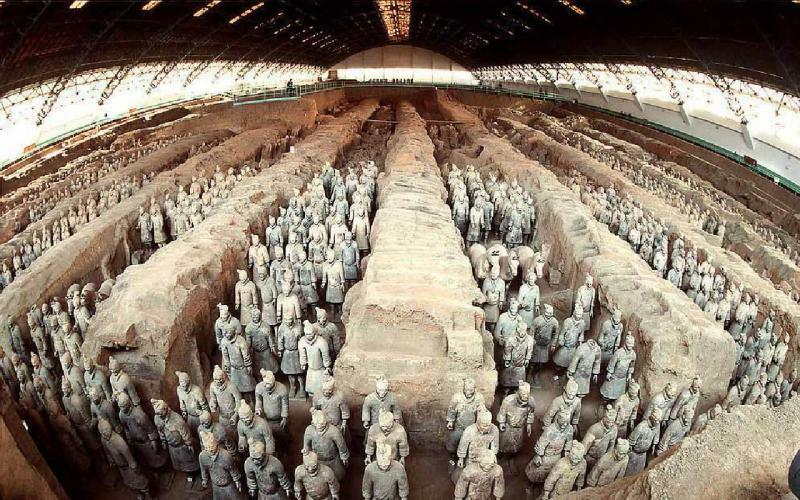 It is significant because the hundreds of detailed life-size models represent the army that triumphed over all other Chinese armies and who were the decisive factor in forming a united China. Then, go to learn how to make Chinese noodles or dumplings at a local family house. Make friends with the family and enjoy your hand-made noodles/dumplings. >> If you're interested in, we can also arrange your family to learn to make mini clay warrior at a local cave dwelling house, great fun for the children. Old City Wall visit is planned in the morning. It is the first landmark visitors will encounter in Xi'an which stretches round the old city. The city itself is neatly arranged along the city wall. Besides a walk at the old quarters of the city, if weather permits, a bike ride on the Old City Wall is available for you to have a through tour. Travel to the Shaanxi History Museum which collected over 370,000 precious relics unearthed in Shaanxi Province, including bronze wares, pottery figures, and mural paintings in Tang tombs. In the afternoon, transfer to the airport and fly to China’s metropolis, Shanghai. This morning you will set off to visit the Shanghai World Financial Center Observatory. The Shanghai World Financial Center (SWFC) is 492 meters (about 1,614 ft), being the second tallest building in Shanghai by roof height. Its Observatory is made up of 3 observation decks, Sky Arena on 94F, Sky Walk on 97F, and Sky Walk on 100F, providing great view of Shanghai along the Huangpu River and thrilling transparent glass-floor walkways. Head to the Yu Garden – the only fully restored classical Chinese garden in Shanghai which inaugurated in the Ming dynasty. Numerous rock and tree garden areas, ponds, walls and bridges separating various garden areas and pavilions are its features. And you will have time to visit the adjoining market. Continue to the Xintiandi and the Bund. The Xintiandi is the most enticing pedestrian street in Shanghai. Stretching approximately 1500 meters, the Bund is the symbol of Shanghai and a living museum of the colonial history of Shanghai for about a century. The optional acrobatic show is available at night with various kinds of traditional and modern Chinese feats such as jumping-through-the-hoops, plate-spinning, hat-swapping by eight performers, motorbike global cage, and so on. Both the adults and children will be marveled. Transfer to the airport and take a mid-day flight to well-known city Guilin. Pick up at the airport and go to visit the outstanding Karst style Reed Flute Cave nearby the downtown: a fascinating gallery of natural sculpture, now enhanced by multicolored lighting, which has been one of Guilin's many interesting attractions for over 1200 years. It rates as one of the top four tourist sites in the city. Your family, especially the kids, will love this magical underground palace. It is a relaxing day during your family vacation. In the morning, take a Li River cruise leisurely. Bamboo groves, jagged, sharp-edged hills like broken teeth, a wide placid river and peaceful farm and village terrain are along the tour. By the end disembark at the beautiful small town Yangshuo, 65 kilometers to the southeast of Guilin, which is an internationally acclaimed tourist destination. Afternoon time is free for your own exploration. Wandering around the town to appreciate its great natural sights is ideal choices. At night, a stroll on the West Street is a must to experience wonderful nightlife of both Chinese and Western styles. Exercise your feet on two wheels, biking to the Yangshuo countryside to see the stunning scenery, rice paddies, water buffalo and local farmer’s life. 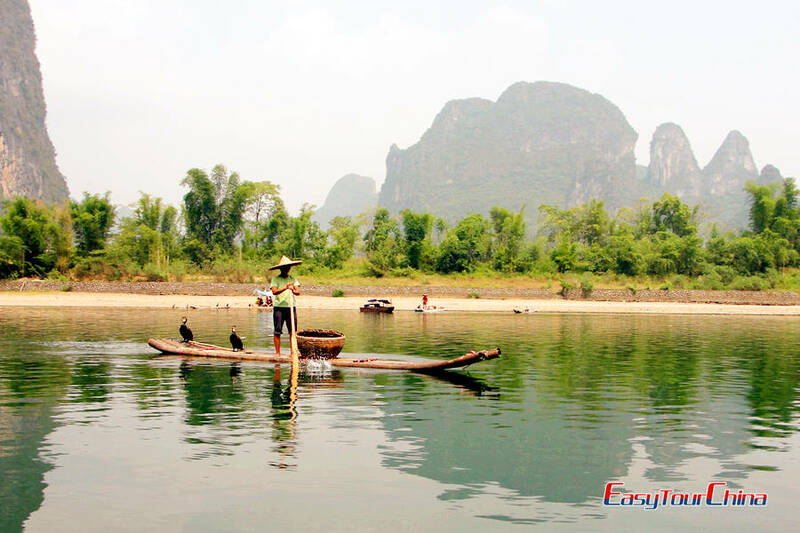 Then for your family fun, it is your option to have an 1-hour bamboo rafting down Yulong River, known as litter Li River, which is lined by green bamboo and rolling hills. After the rafting tour, lunch at a local restaurant to taste local dishes and snacks. 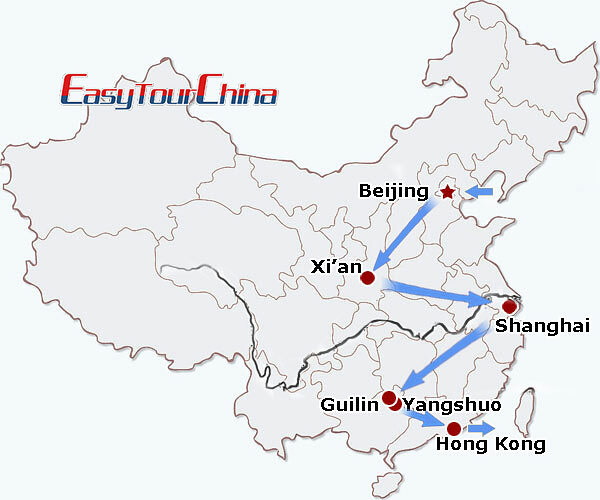 In the afternoon, drive to Guilin airport and fly to one of the special registration regions in China, Hong Kong. One day tour to Disneyland of Hong Kong. A paradise for children, it is the world's 5th Disneyland and the world's smallest Disneyland that covers an area of 126.82 hectares. There are four main parts in the park: Main Street U.S.A, Fantasy land, Tomorrow land and Adventure land. Moreover, it has some unique attractions, two Disney theme hotels, and colorful shopping, eating and entertainment facilities. One day family tour to Ocean Park – Hong Kong's unique local park with a heritage of delivering family fun and fond memories which opened in January, 1977. Besides, it was chosen by Hong Kong citizens as their No.1 favorite scenic spot in Hong Kong in 2005. Transfer to airport and fly back home or head for another destination. Your 13 days China family tour ends.